We help patients do their exercises at home. Correctly. Every day. The instruction, engagement, and tracking platform for physical therapy home exercise programs. Employers purchase the program for their onsite clinics so that they may reduce time employees spend learning exercises at physical therapy visits, and improve patient outcomes. As a result, employee productivity goes up, healthcare costs go down, worker's comp costs go down, and employee retention goes up. Physical therapists configure custom video home exercise programs for patients. It is more efficient and more precise than existing solutions. This HIPAA-compliant enterprise SaaS solution is designed to increase patient engagement, decrease the cost of care, and improve patient outcomes. Patients use the KeepOnMovin' mobile app to review and perform custom workouts, track their overall progress, and communicate with their PT. This improves patient confidence in technique, reduces skipped workouts, increases program completions, accelerates recovery, and reduces re-injury. VISION: To empower everyone to achieve optimal movement health. MISSION: To serve people experiencing movement and health impairments by increasing patient engagement with home programs. We believe in and embrace value based reimbursement (VBR) in healthcare. We believe home exercise programs should be prescribed and monitored by qualified professionals who have performed a functional physical assessment. We believe patients are responsible for maintaining their health. Do your exercises correctly. Accelerate your recovery. KeepOnMovin’ offers patients a mobile app that supports their recovery outside the therapist’s office. 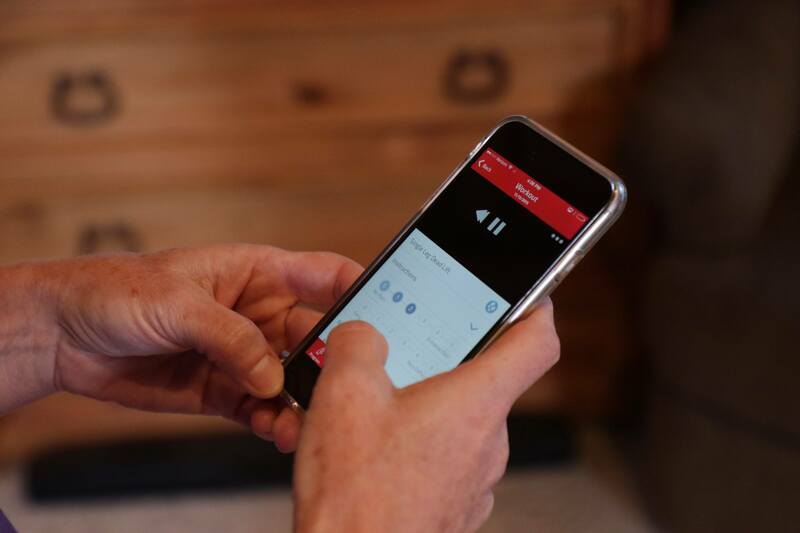 The app replaces photocopied diagrams and handwritten home exercise instructions with customized, guided instructional video tools that allow users to work toward and track their recovery confidently and safely during unsupervised home exercises. The KeepOnMovin’ app provides a solution to three of the biggest issues patients face outside the clinic: instruction, engagement, and tracking. INSTRUCTION: Patent pending do-along technology gives patients the option to reference their physical therapist’s detailed and, customized home exercise program instructions whenever and wherever needed. ENGAGEMENT: With workout reminder notifications and calendar-tracking, the app is your partner in recovery, providing encouragement and help to keep you on track. TRACKING: App encourages patients to record information about their exercises as they go, without interrupting or impeding the workout. Information is recorded in the app and can be accessed easily as-needed to share feedback with a physical therapist, stay on top of clinic visits, and maintain a personal record of users’ recovery. 60% of PT patients admitted that they had not been compliant with their home exercise program. Detailed instructional videos explain not only how to complete each exercise on your own, but also where and what you should — and shouldn’t — feel during unsupervised workouts. With step-by-step audio and visual instructions, the app walks you through the home exercises prescribed by your physical therapist specifically as prescribed. With the app counting for you, reminding you of correct form, regulating your rest, and offering encouragement, you are free to focus on getting well. 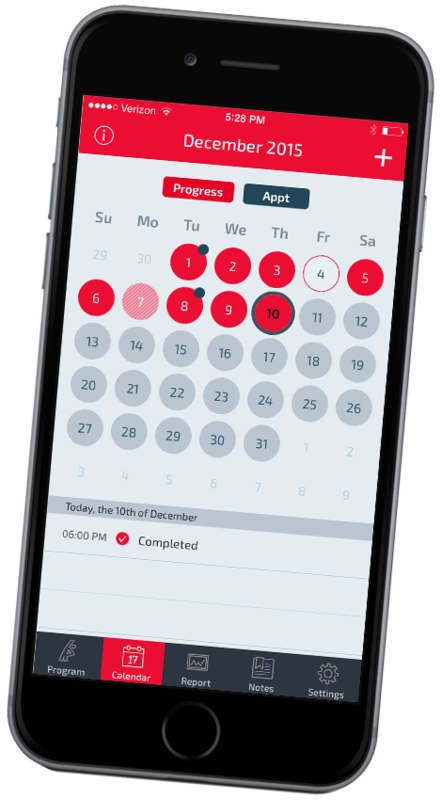 The app tracks activity outside the clinic for you, collecting information about your progress that is available in the app as quick-view reports and giving you the tools and information you need to confidently manage your recovery. In-app notes make it easy for patients to collect and share their at-home experiences with their physical therapist. In-app feedback offers an opportunity to record the effectiveness and comfort of their workouts without interrupting your workout. Wirelessly stream instructional videos to your devices for easy and convenient workouts, controlled by your phone. In-app calendar helps you manage your PT visits, reminds you to work out, and helps you to visualize your progress by offering a quick view of your completed exercises over time. App-generated reports allow you to quickly view and share your progress over time. Rest assured that your data is being handled with the utmost concern for maintaining your privacy. Faster & more precise prescriptions. Customizable & comprehensive exercises. KeepOnMovin’s web-based app for physical therapists offers a solution for providing personalized home exercise instructions and documenting at-home recovery to produce records that support treatment objectives and simplify reimbursement. The KeepOnMovin’ app provides a solution to three of the issues that leads to failure to comply with home exercise programs: instruction, engagement, and tracking. INSTRUCTION: Physical therapists (PTs) can easily customize exercise plans to include specific and detailed instructions for patients that are pushed directly to their device. PTs can confidently prescribe exercises and trust patients have the tools needed to correctly complete their exercises at home. With less time spent correcting and reteaching exercises, PTs can devote more time to diagnosing and creating a plan for recovery. 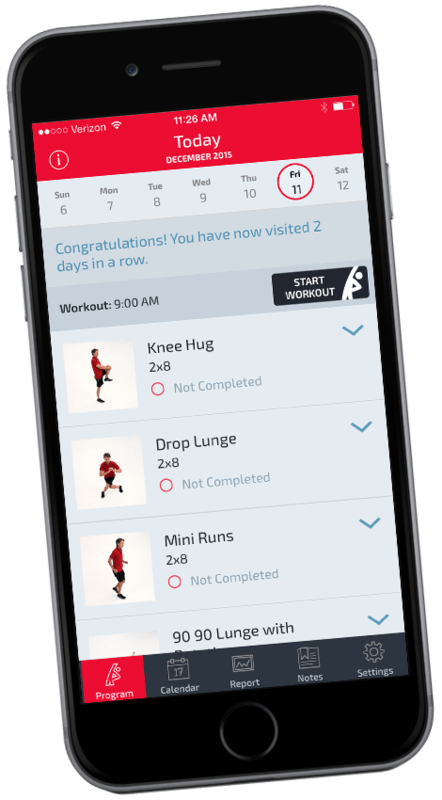 ENGAGEMENT: Workout reminders and quick-view calendar tracking encourage patients to complete their at- home exercises, accelerating recovery and allowing physical therapists to use their clinic time with patients to move forward. TRACKING: Information recorded by patients on the app is collected and easily accessed by PTs to show progress, justify treatment, and ensure exercises are being performed as prescribed. The PT web portal allows PTs to quickly view patient notes and feedback as well as records demonstrating patients’ compliance. I didn’t do my exercises because I forgot how. I knew they would remind me at the next visit. Quickly create and modify custom home exercise plans with an easily searchable video library and simple, user- friendly template. 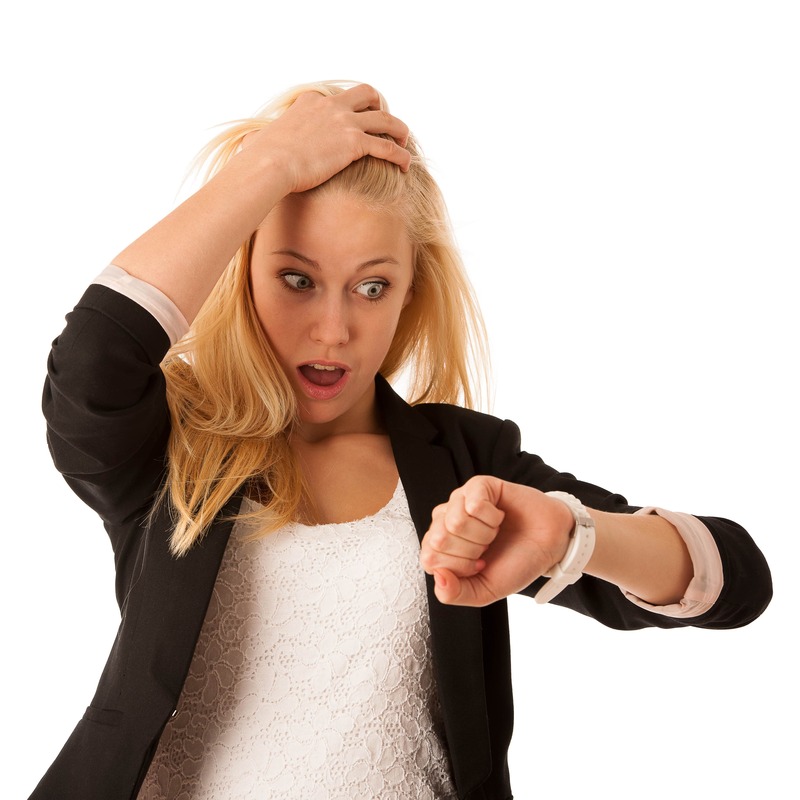 Do- along videos and tracking resources cut down on time spent re-teaching or correcting exercises and allow physical therapists to concentrate on treating patients. The app’s tracking features allow PT’s to better document out-of-clinic activity and produce records that simplify the reimbursement process. Physical therapists can easily personalize workouts for patients and provide instructions to accompany individual exercises. Patients are given resources and tools to accurately track their at-home activity, allowing PTs to more quickly determine what exercises have been successful and where improvements are needed. App-generated reports allow physical therapists to quickly view and share a patient’s progress over time, demonstrating the effectiveness of their exercise plan. HIPAA- compliant and will sign Business Associate Agreement. Increase productivity. Increase compliance. Save money. KeepOnMovin’s healthcare solutions drive patient compliance with physical therapy home exercise programs to accelerate full recovery and minimize lost work time while reducing healthcare and worker’s compensation expenses. INSTRUCTION: Detailed instructional tools customized by physical therapists to meet their patients’ specific needs make it easy for patients to correctly continue their exercises at home, accelerating recovery. ENGAGEMENT: In-app notifications, reminders, and visible workout tracking tools encourage patients to comply with their treatment plans outside of clinic, increasing the likelihood of timely and lasting recovery. TRACKING: KeepOnMovin’s patient app tracks completion, pain, and difficulty of at-home exercises, offering physical therapists the knowledge and tools to effectively treat all aspects of the patient’s injury — not just what they see in clinic. Physical Therapy is 50% of Workers Comp Cost in first 90-120 days of claim. Patient and PT resources encourage employees to comply with home exercise programs and miss less work during recovery as a result. Nurse practitioners can assign appropriate exercise programs to catch injuries early and avoid escalation into a worker’s compensation claim. Rest assured that employee data is handled with the utmost concern for maintaining patient privacy. Two hours away from work twice a week is not sustainable. The right combination of technical, business, and clinical experience. KeepOnMovin’ was founded in the San Francisco Bay Area in 2014 by a former PT patient, a physical therapist, and a software developer. While working to recover from knee surgery, founder and CEO Ellen Raynor identified a need for improved tools to support physical therapy home exercise programs. A veteran of the tech and startup industries, Ellen teamed up with co-founders Mark Feinholz and Scott Williams to find a solution, and KeepOnMovin’ — a mobile health platform to augment physical therapy home exercise programs — was born. Ellen Raynor, Founder, CEO: Ellen has more than 20 years of experience in enterprise software product leadership and three knee surgeries’ worth of experience as a physical therapy patient. 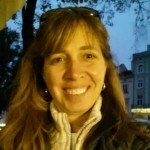 As a serial entrepreneur, Ellen’s background includes a wealth of diverse startup experience, as well as 12 years of B2B software in business intelligence and data warehousing. 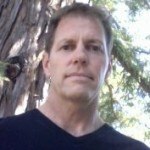 Mark Feinholz, Co-Founder, Tech Lead: Mark spent over 25 years working as mission critical software developer and architect, as well as five years in healthcare technology at multiple start-ups. 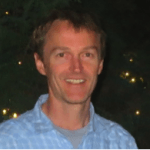 Scott A. Williams, Co-Founder, Practicing Physical Therapist: Scott has worked for more than 20 years as a certified orthopedic specialist in physical therapy.